I’ve never been much for fitness gadgets. I had a pedometer once when I worked for an insurance company. I always forgot to wear it though and it seemed wildly inaccurate so it didn’t take long for me to ditch it. These days however, activity trackers seem much more sophisticated. I love mapping and timing my runs using apps on my iPhone and even tracking my fitness using my Weight Watchers app. I am a bit of a data junkie so I find these things helpful. 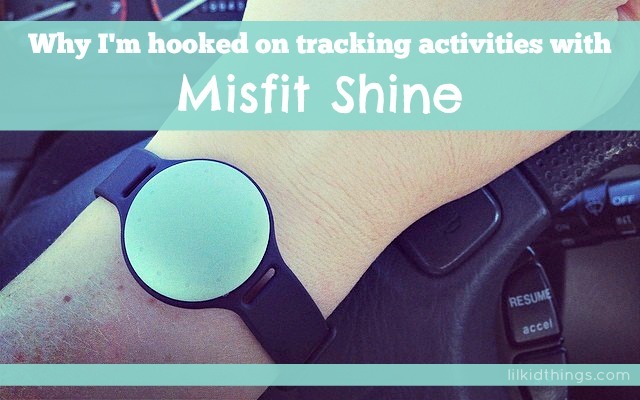 Last month when I was in Atlanta for the Mom 2.0 conference, I learned about the Misfit Shine activity tracker. It tracks steps and sleep patterns and if I may say so, has a pretty sleek package. After the conference, I was offered the chance to review a Shine for myself so I gladly accepted. If you are looking for tons of detailed information, the Shine may not be the gadget for you. But if you want something easy to use that hits on some key data and looks great, it’s perfect. I can track my steps, my sleep patterns and check the time with my Shine. I can customize my goals and add notes to certain days. 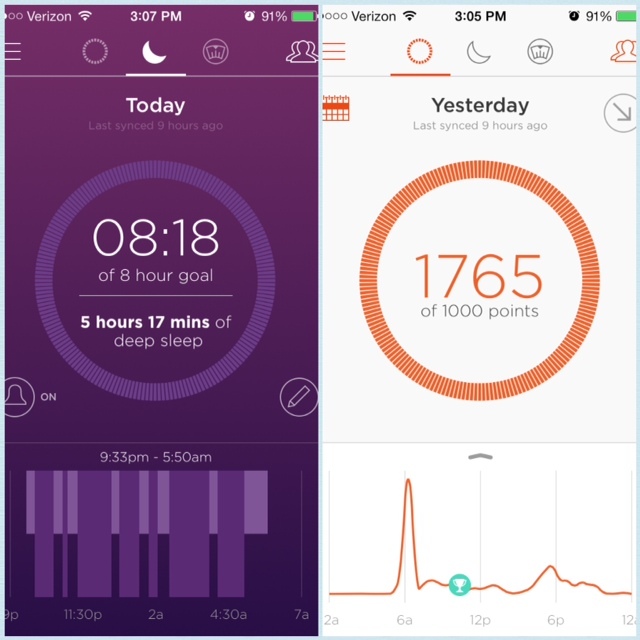 The device syncs up with their free app on my iPhone (also available for Android) and I’ve found that I really look forward to seeing how I do each day (and night)! As I near my 36th birthday I am starting to admit some things to myself. I am not as concerned about the exact numbers when using my Shine. What I love is how much I am learning about myself and my personal trends. For instance, I am almost twice as active on weekend days as I am on weekdays, unless I specifically build in exercise. Further, when I sleep between 7-9 hours at night, I get roughly the same amount of “deep sleep”. That helps me feel better about keeping it to 7 or 8 hours most nights even though I enjoy sleeping in. I also sleep better when I go to bed early and get up early and not the other way around. I don’t know that I needed an activity tracker to tell me that, but seeing the data helped me accept it. I love that the Shine comes as a watch or clip-on device. I am a wristband girl all the way because apparently I change a couple times a day and I was always forgetting to switch my clip from one outfit to the next. And the fact that the Shine also has a watch is a bonus! The kids love to ask me to make it light up. I’ve been wearing my Shine almost daily for the past month and I am completely sold. It has been such an easy way for me to keep myself honest when it comes to my activity, understand where I need to step it up and not make so many excuses to eat that extra cookie. Are you hooked on activity tracking? What keeps you going? Disclosure: I reviewed the above item at no cost. All opinions are my own.